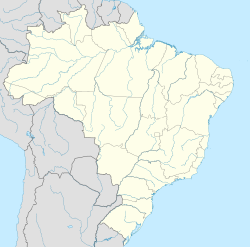 Betim is a ceety in Minas Gerais, Brazil. The ceety belangs tae the mesoregion Metropolitan o Belo Horizonte an tae the microregion o Belo Horizonte. Hame tae ane o the Petrobras's ile refineries an Fiat's lairgest factory, amang ither plants, the ceety haes an important role no anerlie in the state's economy, but in the whole kintra's as well. Betim is internaitionally kent for Salão do Encontro an Missão Ramacrisma, twa entities recognisit for their social wirk wi the poor commonties. This page wis last eeditit on 11 Mairch 2018, at 03:10.